Is it possible to grow a bootstrapped tech startup in Hawaii? A new boutique solutions and product-focused tech business, Sudokrew Solutions, is looking to answer this question. Sudokrew is led by local talent Jason Sewell and Spencer Toyama. Sewell is the former lead developer for Outrigger Hotels & Resorts, and Toyama is the former operations director of Kinetiq Labs and the Pele-Award winning Agency Collaborative. 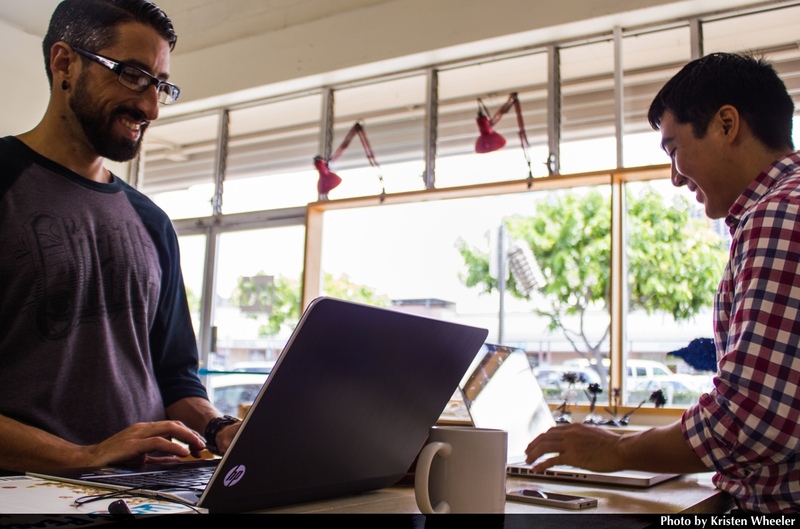 Hawai’i has taken more of an interest in tech entrepreneurship with the HI Growth Initiative and the launch of the state-supported tech accelerator Blue Startups, though Hawai’i is not well-known for being business friendly. A recent report card released by Glassdoor has Honolulu noticeably absent from the top 50 cities to work, and CNBC ranks Hawaii as the least business-friendly state in the U.S.
One of Sudokrew’s first projects will be developing a rapid-learning platform, partnering with TEDx regulars; the Developing Critical Thinkers team of Sean Briel and Dan Nash. Developing Critical Thinkers is leading a paradigm shift in education with a curriculum methodology that has improved the pass rate from 12 percent to 70 percent in high school algebra, as well as a pass rate 40 percent above the state average on the Hawaii State Assessment Exam. Sudokrew has also been busy developing their own web service called StallShare (stallshare.com), a platform that allows driveway owners to rent parking stalls to commuters and neighbors on a monthly basis, which is slated to beta test on Oahu in the next 6-8 weeks. Sudokrew Solutions is looking to aid the technology development of Hawaii with fellow innovators, as well as collaborating with established businesses in Hawaii to provide novel and robust technology solutions in this new digital age.